A little while ago this little gem of a game called Joe Danger was released by Hello Games after several months of the utmost anticipation by the public (and me!). Having never downloaded any game from the Playstation Network I was curious to see if my excitement would translate to real high-flying fun from a studio that only boasts FOUR staff members. For those unfamiliar, Joe Danger is the eponymous name of the game”s main character who is an Evil Knievel style motorbike stunt rider and racer. The story is that JD is getting back in the saddle after a horrific crash that threatened his career nay his life but who cares about the story, the game is really about HIGH SPEEDS, LONG JUMPS and TRICKS. In the game you determine the success of Joe Danger”s comeback by completing challenges throughout the game”s courses which can range from simple time trials or collect all the stars challenges to the more complex manouvers such as finding hidden stars or completing the course under a time limit while maintaining a 100% tricks combo. Helping you on the way is your boost meter which will propel you further and longer in the air and a combination of taps or holds of the shoulder buttons will perform tricks that will replenish your boost. It”s a bit overwhelming at first but after a few rounds, users will learn how to boost and trick at the same time and wheelie in between to maintain a constant breakneck speed. They don”t call him Joe Danger for nothing though as almost all the courses he faces are frought with peril and obstacles determined to wipe him out. Holding the square button will get Joe casino pa natet to duck under limbo bars and letting it go he will hop over speed bumps and spikes. There are also ramps, loop-the-loops and bumpers that really transform Joe Danger from a racing genre to a platforming format that really reminded me of the Sonic games. Pressing triangle at any time will activate a Little Big Planet-style sandbox builder that allows you to customize a course by dropping buses, Swedish casino games provider Positive Gaming – which lately received the Super-Gazelle online casino award as ‘Sweden’s Quickest Growing Company” from business magazine Dagens Industri – has partnered with brick-and-mortar bingo outfit Idrottens Spel to build up a web-based platform focusing on Europe and South Usa. more ramps casino or shark pools into Joe”s path. So if you”re not satisfied with Hello Games” already thoughtfully laid out courses you can really up the stakes or create your own course from scratch. And with the ability to upload your tracks, download from others or trade between friends via PSN, the sandbox feature is one of the standout features outside of Joe”s campaign. The split screen multiplayer on the other hand is short-lived and suffers from frame rate Online Gambling issues. Although my friends and I played through VS battles fairly extensively, most of our enjoyment came from creating tracks for each other to complete. My only other gripe with the game is that the crash recognition could be better. With enough sideways momentum, riders can land on their head and still stay on their bikes. I was really expecting an Excitebike or Motorcross Maniacs level of skill required to stick landings in this game and unfortunately it was not that accurate. 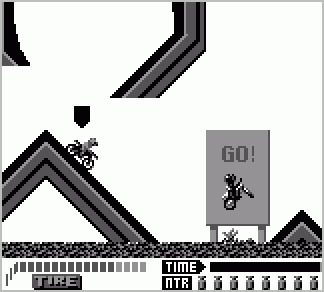 Motorcross Maniacs on Gameboy had incredible and accurate jumping and landing physics. Overall though, the positives far outweigh the negatives. The visual style alone is incredibly charming, the controls are tight and the gameplay is addictive fun. As I mentioned before, it plays like an awesome mish mash of Excitebike, Sonic the Hedgehog and Little Big Planet. It boggles the mind that this game was developed by a team of only four programmers which is to be commended but at the same time also lead to its downfall as deadlines and limited staff power probably lead to parts of the game that are left begging for more. No doubt a sequel would benefit enormously from an online multiplayer mode and a longer campaign. I wouldn”t go as far to give it a 9 or 9.5 as all the other main gaming media on the net have done but still, at $20 a purchase, I would say Joe Danger is a highly recommended purchase.